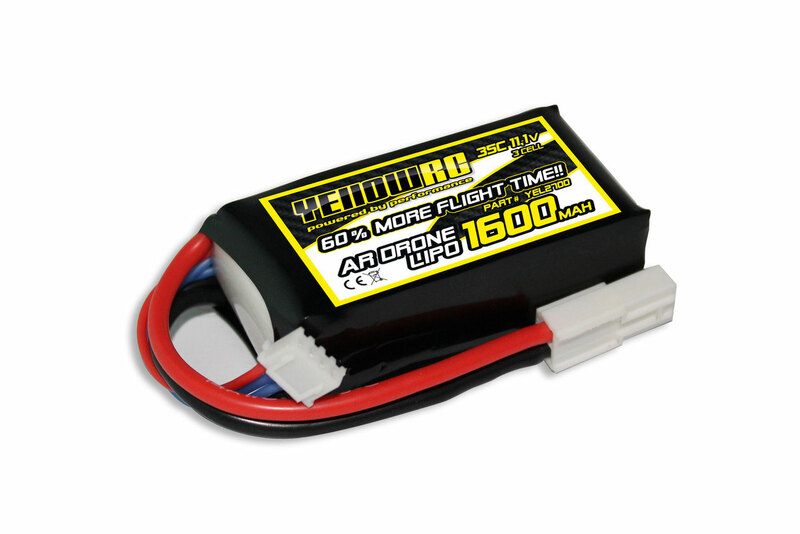 This 1600mAh 11.1 Volts LiPo pack suits perfect for the Parrot Ar. Drone 1.0 and 2.0. This pack gives you optimized power and a great flight time!